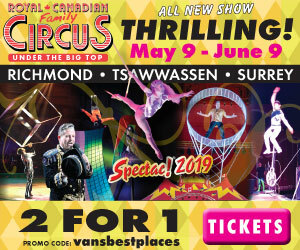 The Entertainment Book Membership is a coupon book that offers discount deals at Vancouver and Lower Mainland stores, attractions and restaurants. Some of our favourite content in the book is the dozens of coupons for area restaurants. If you’re on a tight budget but like eating out, it’s a most valuable resource to have! For information about the program in general click Entertainment Coupon Book. For information about some of the best Lower Mainland restaurant deals in the book, continue reading. The 2019 Entertainment Coupon Book is now available! Also, don’t forget to use the savings from your 2018 book by December 30th! Click Entertainment Book for 2019 coupon details. The 2018 Vancouver & Fraser Valley edition of the Entertainment Coupon Book is a fabulous deal for restaurant lovers! The book includes 2-for-1 coupons for fast-food restaurants, family-friendly places and fine-dining establishments. Participating restaurants offer everything from ethnic food to hamburgers, vegetarian dishes and four-star dining! Click on any of the above links to jump to a list of restaurants in a specific municipality, or continue reading for a comprehensive list of some of the best Lower Mainland restaurants in the 2018 Entertainment Coupon Book. At the end of the article you’ll also find a list of Tips and Advice to help you make the most out of your restaurant coupons. Note: We don’t list every “best restaurant” in the Entertainment Book – just a sample of some of the many that stand out. Also, our list includes fancy establishments as well as inexpensive diners – so don’t expect silverware and service-fit-for-royalty everywhere. What you can expect though is great value for what you get, especially with your coupons. The Entertainment Coupon Book is a membership program that’s full of deals. The book comes out in the late summer and its contents are valid until December 30th of the following year. The book is full of coupons for restaurants of every kind, as well as for stores, travel destinations and area attractions. Most of the restaurant coupons are 2-for-1, meaning that if you buy one qualifying menu item you get a second item of equal or lesser value for free. Sometimes the restaurant coupons are only for lunch menu items, sometimes for dinner, sometimes for both, and in other cases for purchases made any time of day. Occasionally, instead of just a 2-for-1 offer, specific restaurant coupons are for a certain percentage discount off the total bill. Coupons are subject to certain restrictions including not being valid on certain holidays and special occasions (e.g., Valentine’s Day, St. Patrick’s Day, Mother’s Day, Father’s Day, etc.). The policy of only one Entertainment Book coupon per table at a restaurant is pretty standard. Also, coupon values exclude tips, taxes, alcohol and most special menu items. Coupon limits of use are all very reasonable and designed to give value to customers without overburdening the business. Restaurant owners need to make a living, and margins in the food industry are tight! That’s why they can’t afford to give big discounts on menu items already on sale or at their busiest times (e.g., statutory holidays and other special occasions). The way Entertainment Book coupons work, consumers get a great deal and restaurants get to introduce themselves to new customers! Below is a list of some of the most popular fine dining and casual restaurants included in the 2018 edition of the book. Restaurants we list typically get between 3 and 5-star reviews online. Some are moderately priced and others more expensive. Entertainment Book coupons make them all an especially good value. Note: Participating restaurants and offer details are subject to change and certain restrictions. Below are some great restaurants offering 2018 Entertainment Book coupon deals within the City of Vancouver. Arc – a fancy West Coast restaurant with consistently high reviews across the street from Canada Place at the Fairmont Waterfront Hotel. Their Entertainment Book discount is for up to $30 in value. Gramercy Grill – located at 2685 Arbutus Street in downtown Vancouver, the restaurant uses locally-sourced and organic ingredients. Their 2-for-1 offer is good for a free dinner entrée up to a maximum discount of $22. The French Table – a bistro at 3916 Main Street just North of King Edward Avenue. Their coupon is for a 2-for-1 dinner item worth up to $19. Il Nido – an Italian restaurant at 780 Thurlow Street that’s open every day except for Sundays and holidays. Their Entertainment Coupon Book offer is good for one dinner entrée up to $15 in value. Kobe – a Japanese steakhouse where they cook your choice of meats, seafood and vegetables at your table at 1042 Alberni Street in downtown Vancouver. Dinner starts at 4:30 pm, reservations are recommended and the coupon is worth up to $40. Osaka Teppanyaki – another Japanese restaurant where they cook the food in front of you at 103-1788 West Broadway near Burrard Street. Their coupon is good for a second dinner entrée worth up to $30. Portobello Ristorante – an Italian restaurant at 1429 Broadway (by Granville Street). The coupon is valid for dinner entrees from Sundays to Thursdays for up to $18. Shaughnessy – the restaurant at VanDusen Garden at 5251 Oak Street. Their coupon is good for a 2-for-1 dinner entrée valued at up to $18. TIP: If you want appetizers or drinks for a good price too, go towards the end of Happy Hour which runs daily from 3 until 5 pm. Zefferelli’s – a highly-rated casual Italian place at 1136 Robson Street (near Thurlow). Located on the 2nd floor, it calls itself a “dignified spaghetti joint.” Their coupon book deal is for a free dinner entrée up to $19 in value for any month except for December. For ideas on what to do either before or after dining out, click Vancouver or Vancouver’s Top 24 Attractions. Below are some good Burnaby restaurants with buy-one-get-one-free coupons in the 2018 Entertainment Book. Abyssinia Ethiopian – an East African restaurant located at 7546 Edmonds Street and specializing in Ethiopian cuisine. Their coupon is good for 25% off the total bill up to $60 in value (with some exclusions). Horizons – a restaurant with views at the top of Burnaby Mountain at 100 Centennial Way. Their coupon is good for any evening for up to $22 off the purchase of two dinner entrees. Note: Coupons are not valid on Saturdays between 6:00 and 8:30 pm. For ideas on things to do while in the area click Burnaby. Ashoka – a popular Indian restaurant at 20530 Fraser Highway in Langley. Their Entertainment Coupon Book offer is good for one lunch or dinner entrée (excluding the buffet) worth up to $10. Ban Chock Dee – a reasonably-priced Thai restaurant at 20563 Douglas Crescent (and with a second and equally popular location in Maple Ridge). Their coupon is valid for a free lunch or dinner entrée up to $10 in value. Eighteen27 – a tapas-style restaurant with well-above average reviews at 9185 Glover Road in the historic village of Fort Langley. Their 2-for-1 discount is good for a free entrée up to $16 in value. Kostas – a Greek restaurant at 20080 Fraser Highway. The place offers live music on Friday and Saturday evenings and their coupon is good for a free dinner entrée up to a $10 value. NY Grill and Bistro – a steak, burger and pasta place at 20204 Fraser Highway. Their coupon is good for the lesser of 25% or $25 off the total bill (excluding alcohol, tips, taxes and specials). Quesadillas & Chilaquiles – a popular Mexican restaurant at 5572 204th Street offering coupon guests 25% off their total bill up to $25. Certain exclusions apply including menu specials. For ideas on things to do in the area click Fraser Valley. Ban Chock Dee – a popular Thai food place at 20395 Lougheed Highway (and with a second location in Langley). Their coupon is good for a buy-one-get-one $10 lunch or dinner entrée. The Mexican Gourmet – a popular Mexican restaurant at 20757 Lougheed Highway (with a second location in Port Coquitlam). Their coupon is good for a lunch or dinner entrée up to $10 in value. Paliotti’s – a family-owned Italian restaurant at 12018 Edge Street that offers 50% off a second lunch or dinner entrée (so it’s not 2-for-1, but still up to a 25% savings). 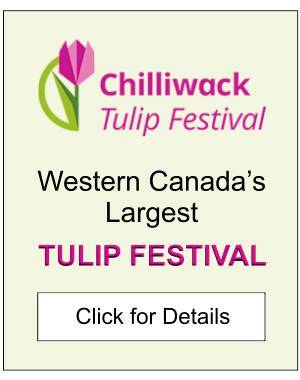 For ideas on things to do in the region click Maple Ridge and Pitt Meadows. Angelina’s – a Dutch-style restaurant that’s famous for its breakfast pancakes and waffles at 810 Quayside Drive near the New West waterfront. The Entertainment Book coupon here is good for up to a $10 discount when two entrees are ordered. Reservations are required. The Old Bavaria Haus – a popular European restaurant in a 100-year-old-plus building at 233 Sixth Street in New Westminster (just a couple of blocks above Royal Avenue). Their coupon offer is for a free dinner worth up to $15 when a second is purchased of equal or greater value. The Cheshire Cheese – a casual restaurant with an outdoor patio at North Vancouver’s Lonsdale Quay just steps from the Seabus Terminal in Lower Lonsdale. Their coupon is good for a free lunch or dinner entrée when a second is purchased as well as two beverages. Maximum discount is $12. The Salmon House – a classy restaurant with amazing views at 2229 Folkstone Way in West Vancouver (not far from the turnoff to Cypress Mountain). Their coupon is good for a 2-for-1 à la carte dinner entrée up to $24 in value. Thai House Restaurant – a popular and reasonably-priced place at 116 West Esplanade in North Vancouver (just up the street from Lonsdale Quay). They offer both a 2-for-1 appy coupon and a 2-for-1 lunch or dinner deal worth up to $12 and $16 respectively. The chain also has a location in Richmond offering similar deals. We really like this place! Vaades – a casual and affordably-priced East Indian restaurant with exceptional food at 149 3rd Street in North Vancouver. Coupon value is up to $16. Zeitoon – a restaurant specializing in Persian and Middle Eastern food at 1615 Lonsdale Avenue in North Vancouver. Their coupon is good for a lunch or dinner entrée up to $14 in value. 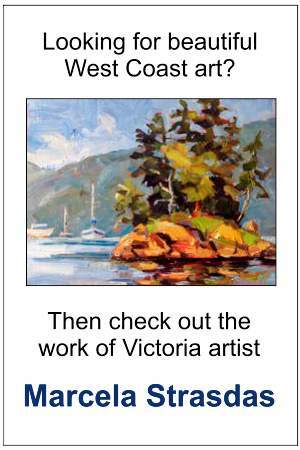 For ideas on things to do in the area click North Shore, North Vancouver or West Vancouver. Below is a list of popular restaurants in Richmond with coupons in the 2018 Entertainment Book. The Apron – a restaurant with a contemporary Pacific Northwest menu at the Wall Centre Vancouver Airport Hotel at 3099 Corvette Way. Its coupon book offer is good for 2-for-1 lunches or dinners up to a $35 value. CAVU Kitchen Bar – a casual-style place serving burgers and pasta at 5911 Minoru Boulevard (not far from Richmond Centre). Their Entertainment Book deal is good for a 2-for-1 lunch or dinner entrée up to $25 in value. Globe@YVR – at the Fairmont Vancouver Airport Hotel at 3111 Grant McConache Way. Its coupon is good for 25% off the total bill up to $30 for meals excluding breakfast, brunch and specials. Italian Tomato Restaurant – a casual place with a menu offering 14 pastas and 39 different sauces. Their coupon is good for up to $10 off any purchase. Thai House Restaurant – located at 129-4940 No. 3 Road (not far from Lansdowne Centre). They offer both a 2-for-1 appy coupon and a 2-for-1 lunch or dinner deal. Coupon values are up to $12 and $16 respectively. The chain also has a North Vancouver location with identical offers. Yokohama Japanese Restaurant – a teppanyaki restaurant at #140-12251 No. 1 Road in Steveston Village where they cook the food at your table. Their coupon is good for one 2-for-1 menu item up to $50 in value. Go for the teppanyaki menu! For ideas on what to do in the area click Richmond. Elisabeth’s Chalet Restaurant – a European-style restaurant at 17785 No. 10 Highway. Their coupon is worth up to $15 towards the price of a second dinner entrée. Kelly’s Irish Pub – at #112 – 7218 King George Highway. Their coupon is good for up to $40 off the total bill (excluding specials and alcohol, the same as most places). Sandar’s Thai Garden – a Thai restaurant that’s open Tuesdays to Sundays at 7500 120th Street. Their Entertainment Coupon Book offer is for up to $18 off a second entrée. Spice King’s Bistro – an East Indian curry buffet restaurant at 15325 #10 Highway. They have a 2-for-1 coupon for a free à la carte entrée up to $10 as well as another for 25% off any buffet order up to $25. For ideas on what to do in the area click Surrey. The Bombay – an East Indian restaurant at 205-2748 Lougheed Highway. Their coupon is good for up to $11 off a second lunch or dinner entrée. The Mexican Gourmet – a popular Mexican restaurant at 18-2755 Lougheed Highway in Port Coquitlam (with a second location about 12 km down the road in Maple Ridge). Their coupon is good for up to $10 off a second lunch or dinner entrée. Original’s – a Mexican café at 2231 Clarke Street in Port Moody. The restaurant’s Entertainment Coupon Book deal is for up to $25 or 25% off the total bill (specials excluded). Saint St. Grill – a highly-rated restaurant at 2510 St. Johns Street in Port Moody just a short drive from Rocky Point Park. Their coupon is worth up to $30 for dinner and menu items usually include duck, lamb, salmon and filet mignon. The Wild Fig – located in the Executive Plaza Hotel at 405 North Road in Coquitlam. Their Entertainment Book coupon is good for a free entrée up to $19 in value. 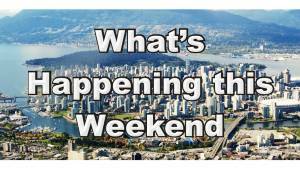 For ideas about things to do in the area, click Port Moody or Coquitlam. Washington Avenue Grill – a popular restaurant with ocean views and an outdoor patio at #5-15782 Marine Drive (so right by La Baia). Its coupon is good for a lunch or dinner entrée worth up to $16 (excluding specials and alcohol). For ideas on things to do while in the area, click White Rock. Top activities include strolls along the waterfront, spending summer days on the beach and checking out the White Rock Farmers Market between May and October. Below are some tips and suggestions to help you make the most out of your Entertainment Coupon Book and restaurant dining experiences. TIP #1: Present your coupon right away to make sure that it’s valid on the day of your visit and for the menu item you plan to choose. That way you won’t be disappointed after finishing your meal to find that because the day is a “defined holiday,” or that your menu item was already on sale, that you can’t use the coupon. TIP #2: If making advance reservations, confirm with the restaurant on the phone that you’ll be able to use your coupon just in case for whatever reason you can’t. TIP #3: Keep an Entertainment Coupon Book in your car. That way when you’re driving around town and get hungry you’ll have your coupons handy and a list of restaurants in whatever part of town you happen to be. TIP #4: If you have more than one vehicle, consider keeping a coupon book in each car. Alternatively, if you have specific favourite places you expect to visit before too long, clip out the coupons and carry them in your purse or wallet. TIP #5: When dining out, be generous with your tip! You saved money and the waiter or waitress likely worked just as hard as if you paid full price. Tipping 15 to 20% for satisfactory service before deducting the discount is recommended and appreciated. TIP #6: You can get an idea from the value of the coupon what a typical entrée at a place might ordinarily cost. If you want to know a restaurant’s price range for sure before going, then check out its menu online in advance. TIP #7: Entertainment Book coupons are honored at “participating” venues. That means, in some cases, not all locations in a particular chain are necessarily “participating.” Again, simply ask before ordering if the only reason why you’re buying an item is because of the coupon. TIP #8: The restaurant business is a tough one! Restaurants come and go, and they sometimes change ownership. If you find the establishment you were looking for no longer exists, or no longer honors Entertainment Book coupons, don’t fret! There are lots of other great places to eat. Also, if it really is important to eat at a specific place and use your coupon, make a reservation and confirm details in advance. For further details about the Entertainment Book, or to purchase a copy, check out shop.entertainment.com. For ideas on other ways to save in the Lower Mainland click Vancouver on a Budget.